I read Purple Hibiscus because my reading challenge asks that I read a book that has my favorite color in the title. As far as I’m concerned, the entire reading challenge has served its purpose by prompting me to read this book. It was slow, but not in a boring way. It is slow in a way that is mesmerizing and intricate. With every immersive scene, Adichie gradually drew me into the world of her protagonist, Kambili. She builds the tension softly that towards the end, it was like I suddenly realized I was sitting in a pot of boiling water that had been tepid at the beginning. Adichie had raised incrementally temperature without me noticing. It places us on the thin edge between Nigerian identity and Western colonialism where Kambili’s family must balance. Not only does it include political and social issues, but individual psychological and emotional fallout of being in Kambili’s unique position. It’s difficult to say much about this book without giving away spoilers, so I’ll just say that Adichie did a remarkable job writing it. 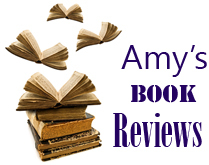 Tagged book review, Chimamanda Ngozi Adichie, fiction, Purple Hibiscus.